6801111 GLC15AF YALE GLC15AF Propane forklift GLC series. Spare Parts Catalog. Service (workshop) Manual. Operator's Instruction Manual. 6801112 GLC20AF YALE GLC20AF Propane forklift GLC series. Spare Parts Catalog. Service (workshop) Manual. Operator's Instruction Manual. 6801113 GLC20VX YALE GLC20VX Propane forklift GLC series. Spare Parts Catalog. Service (workshop) Manual. Operator's Instruction Manual. 6801114 GLC25VX YALE GLC25VX Propane forklift GLC series. Spare Parts Catalog. Service (workshop) Manual. Operator's Instruction Manual. 6801115 GLC30VX YALE GLC30VX Propane forklift GLC series. Spare Parts Catalog. Service (workshop) Manual. Operator's Instruction Manual. 6801116 GLC030AF YALE GLC030AF Propane forklift GLC series. Spare Parts Catalog. Service (workshop) Manual. Operator's Instruction Manual. 6801117 GLC030BF YALE GLC030BF Propane forklift GLC series. Spare Parts Catalog. Service (workshop) Manual. Operator's Instruction Manual. 6801118 GLC030SVX YALE GLC030SVX Propane forklift GLC series. Spare Parts Catalog. Service (workshop) Manual. Operator's Instruction Manual. 6801119 GLC030VX YALE GLC030VX Propane forklift GLC series. Spare Parts Catalog. Service (workshop) Manual. Operator's Instruction Manual. 6801120 GLC35VX YALE GLC35VX Propane forklift GLC series. Spare Parts Catalog. Service (workshop) Manual. Operator's Instruction Manual. 6801121 GLC035SVX YALE GLC035SVX Propane forklift GLC series. Spare Parts Catalog. Service (workshop) Manual. Operator's Instruction Manual. 6801122 GLC035VX YALE GLC035VX Propane forklift GLC series. Spare Parts Catalog. Service (workshop) Manual. Operator's Instruction Manual. 6801123 GLC40VX YALE GLC40VX Propane forklift GLC series. Spare Parts Catalog. Service (workshop) Manual. Operator's Instruction Manual. 6801124 GLC040AF YALE GLC040AF Propane forklift GLC series. Spare Parts Catalog. Service (workshop) Manual. Operator's Instruction Manual. 6801125 GLC040BF YALE GLC040BF Propane forklift GLC series. Spare Parts Catalog. Service (workshop) Manual. Operator's Instruction Manual. 6801126 GLC040RG YALE GLC040RG Propane forklift GLC series. Spare Parts Catalog. Service (workshop) Manual. Operator's Instruction Manual. 6801127 GLC040SVX YALE GLC040SVX Propane forklift GLC series. Spare Parts Catalog. Service (workshop) Manual. Operator's Instruction Manual. 6801128 GLC040VX YALE GLC040VX Propane forklift GLC series. Spare Parts Catalog. Service (workshop) Manual. Operator's Instruction Manual. 6801129 GLC040ZG YALE GLC040ZG Propane forklift GLC series. Spare Parts Catalog. Service (workshop) Manual. Operator's Instruction Manual. 6801130 GLC45VX YALE GLC45VX Propane forklift GLC series. Spare Parts Catalog. Service (workshop) Manual. Operator's Instruction Manual. 6801131 GLC50VX YALE GLC50VX Propane forklift GLC series. Spare Parts Catalog. Service (workshop) Manual. Operator's Instruction Manual. 6801132 GLC050LX YALE GLC050LX Propane forklift GLC series. Spare Parts Catalog. Service (workshop) Manual. Operator's Instruction Manual. 6801133 GLC050RG YALE GLC050RG Propane forklift GLC series. Spare Parts Catalog. Service (workshop) Manual. Operator's Instruction Manual. 6801134 GLC050TG YALE GLC050TG Propane forklift GLC series. Spare Parts Catalog. Service (workshop) Manual. Operator's Instruction Manual. 6801135 GLC050VX YALE GLC050VX Propane forklift GLC series. Spare Parts Catalog. Service (workshop) Manual. Operator's Instruction Manual. 6801136 GLC050ZG YALE GLC050ZG Propane forklift GLC series. Spare Parts Catalog. Service (workshop) Manual. Operator's Instruction Manual. 6801137 GLC55SVX YALE GLC55SVX Propane forklift GLC series. Spare Parts Catalog. Service (workshop) Manual. Operator's Instruction Manual. 6801138 GLC55VX YALE GLC55VX Propane forklift GLC series. Spare Parts Catalog. Service (workshop) Manual. Operator's Instruction Manual. 6801139 GLC055SVX YALE GLC055SVX Propane forklift GLC series. Spare Parts Catalog. Service (workshop) Manual. Operator's Instruction Manual. 6801140 GLC055SX YALE GLC055SX Propane forklift GLC series. Spare Parts Catalog. Service (workshop) Manual. Operator's Instruction Manual. 6801141 GLC055VX YALE GLC055VX Propane forklift GLC series. Spare Parts Catalog. Service (workshop) Manual. Operator's Instruction Manual. 6801142 GLC60VX YALE GLC60VX Propane forklift GLC series. Spare Parts Catalog. Service (workshop) Manual. Operator's Instruction Manual. 6801143 GLC060TG YALE GLC060TG Propane forklift GLC series. Spare Parts Catalog. Service (workshop) Manual. Operator's Instruction Manual. 6801144 GLC060VX YALE GLC060VX Propane forklift GLC series. Spare Parts Catalog. Service (workshop) Manual. Operator's Instruction Manual. 6801145 GLC060ZG YALE GLC060ZG Propane forklift GLC series. Spare Parts Catalog. Service (workshop) Manual. Operator's Instruction Manual. 6801146 GLC065TG YALE GLC065TG Propane forklift GLC series. Spare Parts Catalog. Service (workshop) Manual. Operator's Instruction Manual. 6801147 GLC065ZG YALE GLC065ZG Propane forklift GLC series. Spare Parts Catalog. Service (workshop) Manual. Operator's Instruction Manual. 6801148 GLC70VX YALE GLC70VX Propane forklift GLC series. Spare Parts Catalog. Service (workshop) Manual. Operator's Instruction Manual. 6801149 GLC70VX YALE GLC70VX Propane forklift GLC series. Spare Parts Catalog. Service (workshop) Manual. Operator's Instruction Manual. 6801150 GLC070LG YALE GLC070LG Propane forklift GLC series. Spare Parts Catalog. Service (workshop) Manual. Operator's Instruction Manual. 6801151 GLC070LJ YALE GLC070LJ Propane forklift GLC series. Spare Parts Catalog. Service (workshop) Manual. Operator's Instruction Manual. 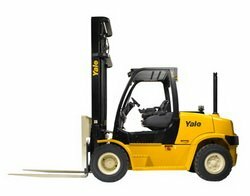 6801152 GLC070VX YALE GLC070VX Propane forklift GLC series. Spare Parts Catalog. Service (workshop) Manual. Operator's Instruction Manual. 6801153 GLC080LG YALE GLC080LG Propane forklift GLC series. Spare Parts Catalog. Service (workshop) Manual. Operator's Instruction Manual. 6801154 GLC080LJ YALE GLC080LJ Propane forklift GLC series. Spare Parts Catalog. Service (workshop) Manual. Operator's Instruction Manual. 6801155 GLC080VX YALE GLC080VX Propane forklift GLC series. Spare Parts Catalog. Service (workshop) Manual. Operator's Instruction Manual. 6801156 GLC080VXBCS YALE GLC080VXBCS Propane forklift GLC series. Spare Parts Catalog. Service (workshop) Manual. Operator's Instruction Manual. 6801157 GLC100MG YALE GLC100MG Propane forklift GLC series. Spare Parts Catalog. Service (workshop) Manual. Operator's Instruction Manual. 6801158 GLC100MJ YALE GLC100MJ Propane forklift GLC series. Spare Parts Catalog. Service (workshop) Manual. Operator's Instruction Manual. 6801159 GLC100VX YALE GLC100VX Propane forklift GLC series. Spare Parts Catalog. Service (workshop) Manual. Operator's Instruction Manual. 6801160 GLC100VXBCS YALE GLC100VXBCS Propane forklift GLC series. Spare Parts Catalog. Service (workshop) Manual. Operator's Instruction Manual. 6801161 GLC120MG YALE GLC120MG Propane forklift GLC series. Spare Parts Catalog. Service (workshop) Manual. Operator's Instruction Manual. 6801162 GLC120MJ YALE GLC120MJ Propane forklift GLC series. Spare Parts Catalog. Service (workshop) Manual. Operator's Instruction Manual. 6801163 GLC120SVX YALE GLC120SVX Propane forklift GLC series. Spare Parts Catalog. Service (workshop) Manual. Operator's Instruction Manual. 6801164 GLC120VX YALE GLC120VX Propane forklift GLC series. Spare Parts Catalog. Service (workshop) Manual. Operator's Instruction Manual. 6801165 GLC120VXPRS YALE GLC120VXPRS Propane forklift GLC series. Spare Parts Catalog. Service (workshop) Manual. Operator's Instruction Manual. 6801166 GLC135CA YALE GLC135CA Propane forklift GLC series. Spare Parts Catalog. Service (workshop) Manual. Operator's Instruction Manual. 6801167 GLC135VX YALE GLC135VX Propane forklift GLC series. Spare Parts Catalog. Service (workshop) Manual. Operator's Instruction Manual. 6801168 GLC155CA YALE GLC155CA Propane forklift GLC series. Spare Parts Catalog. Service (workshop) Manual. Operator's Instruction Manual. 6801169 GLC155VX YALE GLC155VX Propane forklift GLC series. Spare Parts Catalog. Service (workshop) Manual. Operator's Instruction Manual.